MLTOOLS 3rd Helping Hands Soldering Tool with Sturdy Steel Base is perfect for computer boards, jewelry makers, arts crafts hobbyists, etc. The unit comes with 2 long and 2 short adjustable and bendable arms. 4 arms can be re positioned easily whenever needed. 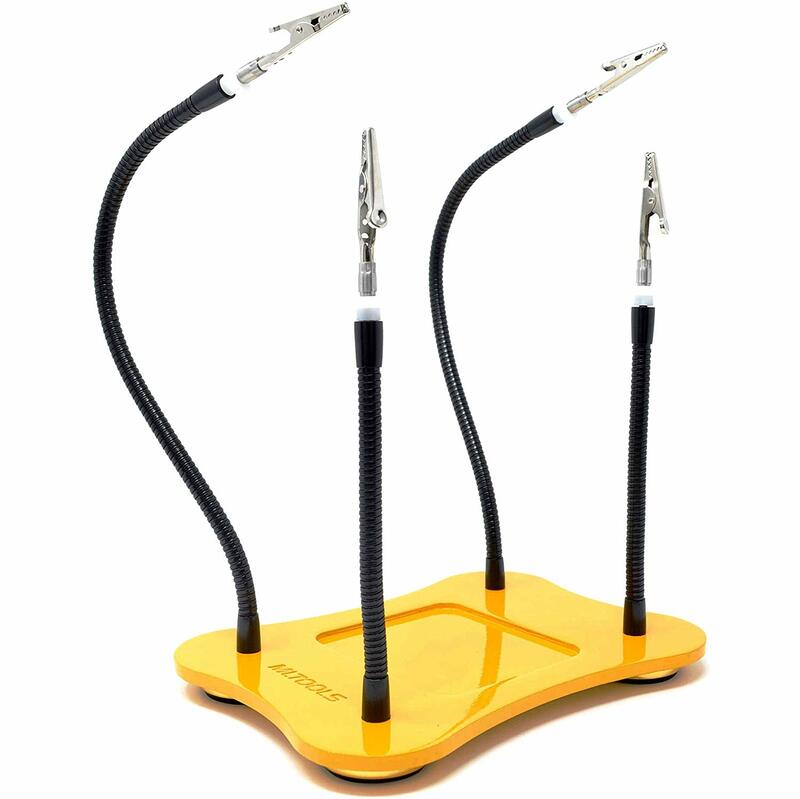 The 4 steel crocodile holding clamps can rotate 360 degrees providing users unlimited working angles. There is a holder conveniently located in the center of the base to hold loose components. The 3-lb steel base with 4 non slip legs prevents the unit from moving/sliding around your working bench. Click the button below to add the MLTOOLS® Helping Hands Soldering Tool with Sturdy Steel Base VS339 to your wish list.